Indoor playground is the best place for kids to release their imagination and reap lots of joy. In a normal indoor playground, kids can have tons of fun when they are playing with different equipment. The simple but fun ball pits, magic slides, role-playing, socializing, can live up to all kinds of expectation of kids. However, kids and parents often wander around the indoor play center with thousands of germs lurking around. If your play center is in a mess and looks very dirty, customers will just turn around and leave without any hesitation or they won’t come back again. In the long term, your indoor park will definitely close down and followed by the failure of your business. As an owner of the play center, you certainly want to attract as many customers as possible. And customers will surely take the environment into their consideration. Whether the environment of your park is clean or not will change their impression on your park. You should main a high-level of cleanliness through the daily cleaning work. Then those former customers, as well as new customers will come back, or even with their friends. In this case, you will successfully put your business into a virtuous cycle. Above all, always maintain cleanliness and hygiene for your indoor play park, the following tips are aimed to help you to keep your indoor playground cleaning. The instructions and manuals combined with the indoor playground equipment will offer you the information about cleaning the structures. The manuals will tell you the favorable detergents used to clean, and the proper cleaning methods. Even more, the manuals can also help you cut off your cleanup load by giving you detailed procedures. A trash receptacle will always help you gather the garbage which is supposed to lie on the ground without a trash bin. Enough garbage receptacles will make it convenient for customers to throw away their garbage, and a subsequent result happens that your park will be almost free of trash! One more thing, you have to hang a banner or sign as a reminder, from which customers will know how they can deal with their trash, while they are hanging in your park. First and foremost, in order to keep your indoor playground cleaning, the cleanliness of indoor park equipment is unignorable. For example, balls in ball pits, which stay in children’s hand very often, will soon become dirty if touched often by filthy hands. So, hand sanitizers will be important for solving this problem. Because it can help clean children’s nasty hands in time. Also, sanitizers should appear in places frequently used by various walks of life. On the other hand, considering the communicable diseases are easily transmitted in an uncleaned and dirty environment, the sanitizers will help prevent the diffusion. Before and after the play, it is necessary for the park labors and parents to tell the kids to wash their hand. Under this case, not only the equipment will remain cleaning but also the child’s hands won’t get nasty easily. Sometimes the water and soap can also work well if the kids touched those dirty or greasy surfaces. First, use the water and soap to remove the dust and anything sticky from the surface of the equipment and the ground. By this way, the entire appearance of your indoor playground will be better. Next, the non-poisonous cleaning products, which is also harmless for your playground equipment, should be adopted to kill the dangerous germs. After this step, communicable diseases are less likely to happen to customers in your indoor playground. Finally, those dangerous fungi, viruses, and bacteria should be kept away from your playground equipment. The non-toxic disinfectant will truly help you get rid of these germs. Daily sanitizing and cleaning are necessary, especially when your equipment is in heavy use. This three-step cleaning process will be a powerful gear for keeping your indoor playground cleaning, only if the owners of the park has implemented them fully. You should do this job every day. Every night, after closing, you should just clean the playground surfaces. The corners and nooks are the places easily catch on dust. But children sometimes will walk on, or crawl on these places, so keeping these areas cleaning is definitely important for their health. Equipment easily remained uncleaned like floor mats, rope swings, monkey bars, inside and outside of the tubes, ladders, handles, and railings need your extra attention. In general speaking, parents who let their child step on the mat and the platform of your playground, believe your play equipment has no harm for the little kids. So, the secret to building up trust with your customers is to guarantee the safety of kids and parents. In the unmaintained and dirty area, communicable diseases can easily transmit widely. That is why you should keep your indoor playground cleaning. Especially, the equipment will get pretty dirty every night after closing, so this is a good chance you should take on to kill the germs in the very early time. Besides all the above, you should also ensure that your equipment is durable and safe. Reliable equipment will also guarantee safety and fun for your customers. Wonka Playground is a reliable manufacturer of indoor playground equipment. They have cooperated with more than 500 business partners and remains further cooperation with many of them. Also, this supplier has got certificates like CE, TUV, GS, ISO. Offering a separate area for customer to enjoy their snacks and drinks, if the actual factors permit. Washrooms settled in your playground should at least have the soap for customers to clean their hands after grasping that greasy food. 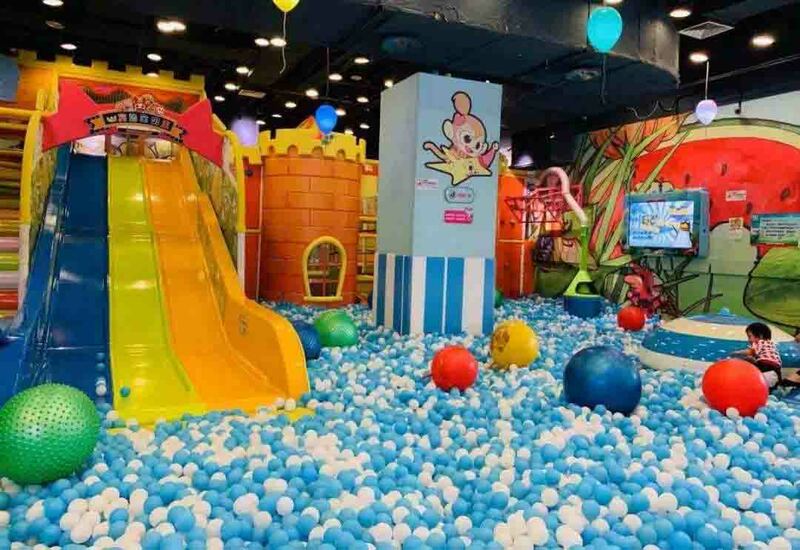 As the owner of the indoor playground, the cleanliness should be always in your daily work list. Before your opening, make sure there is no trash on the ground, as well as no greasy on the surface of the equipment. While you implement methods above fully, you can provide hygiene and comfortable environment for your customers. This entry was posted in blog and tagged indoor playground business.